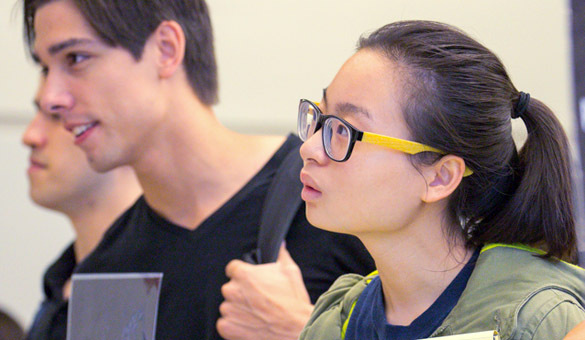 Our goal at SHASS is to empower MIT students — to help them serve the world well, with innovations, and lives, that are rich in meaning and wisdom. 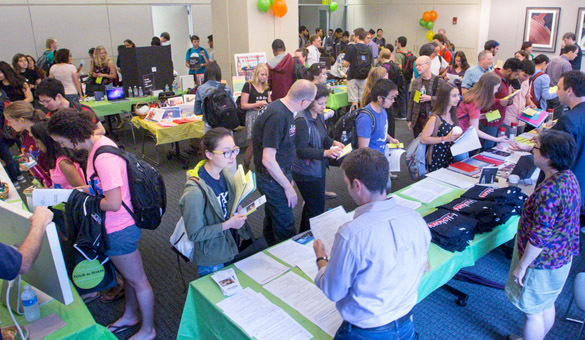 Several hundred MIT students gathered on September 5, 2013 for the TOUR de SHASS — a new academic expo showcasing the wide range of courses within MIT's School of Humanities, Arts, and Social Sciences (SHASS). 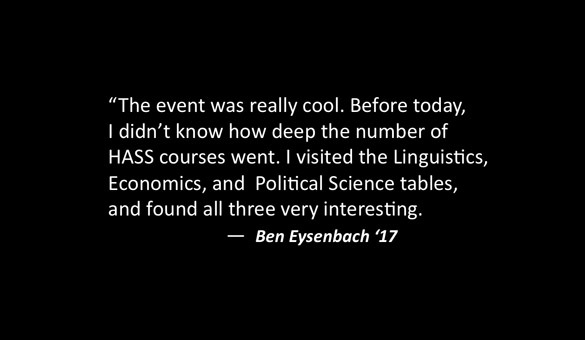 The expo gave students a chance to “Take the Tour” — visiting information stations staffed by faculty and undergraduate academic administrators (UAAs) from all 13 of the School’s fields of study: anthropology; economics; political science and international studies; foreign languages and literatures; history; linguistics; literature; comparative media studies/writing; music, philosophy; theater arts; science, technology, and society; and women’s and gender studies. 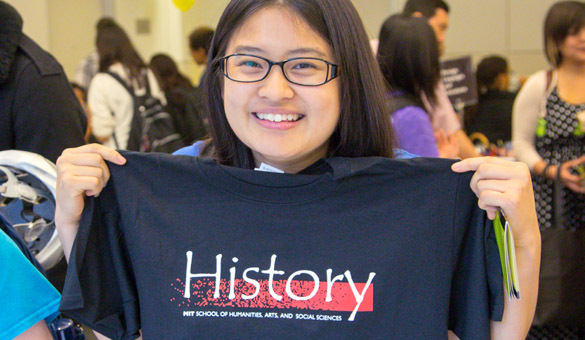 That was the goal organizers said: for students to discover MIT's great range and depth of humanities, arts, and social science options, and begin to discern which areas will be the most meaningful for their personal academic and personal goals. 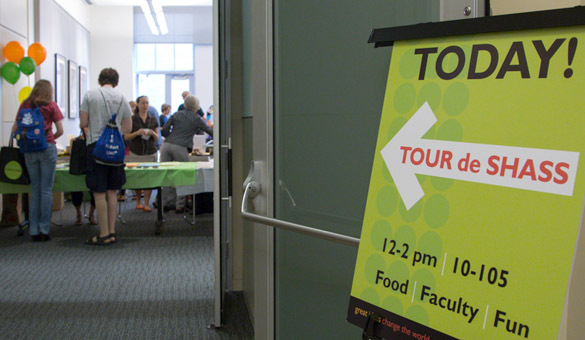 Catalyzed by an idea from the SHASS Undergraduate Academic Administators (UAAs), the expo was organized by HASS academic administrator Liz Friedman and UAAs Daria Johnson, Karen Gardner, and Irene Hartford, with support from the Office of the Dean, and SHASS faculty. 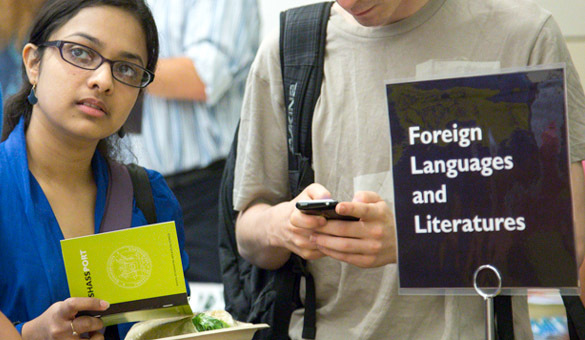 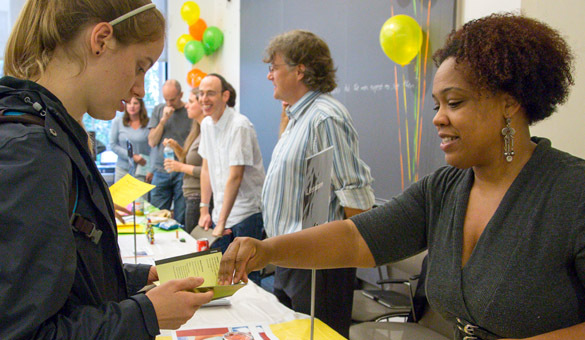 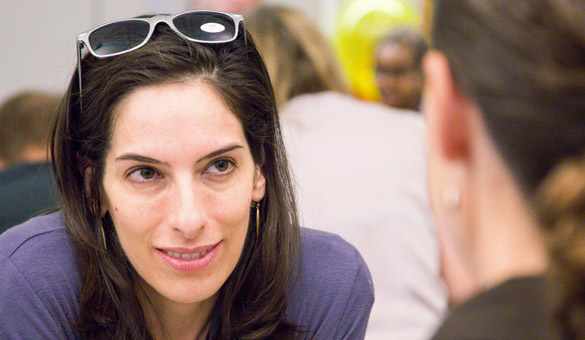 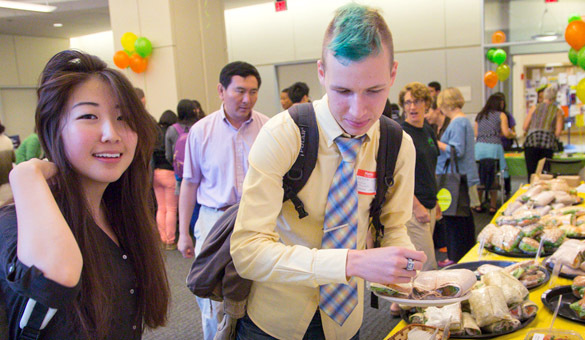 Students at the event also discovered options for pursuing a double major. 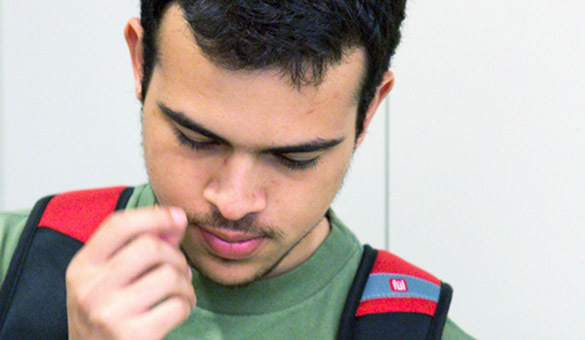 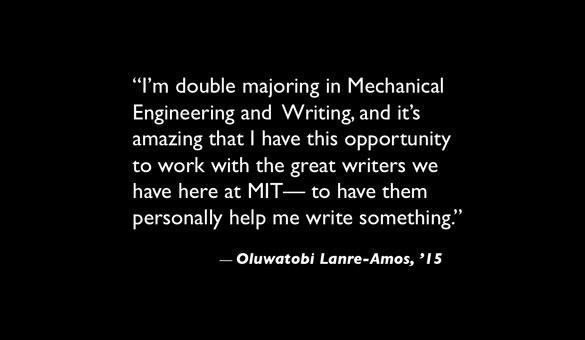 Hundreds of MIT students each year choose to be double majors, combining a science or technology field with economics or music, comparative media studies, literature, language, or history. 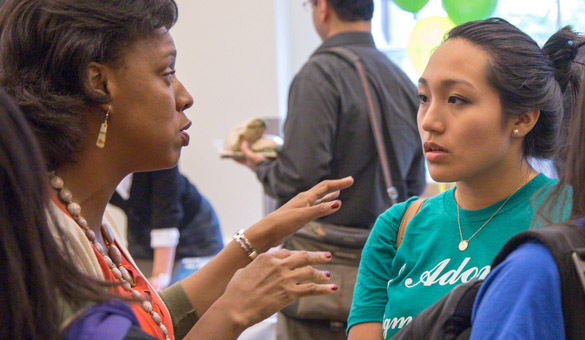 Dean Deborah Fitzgerald, who greeted students at the expo, spoke about MIT's mission in the humanities, arts, and social sciences. 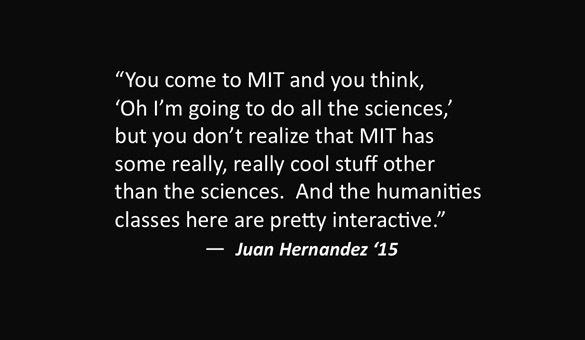 "At MIT we know that generating practical solutions for the world's great challenges requires technical and scientific creativity, and an understanding of the world’s complexities — political, cultural, and economic. 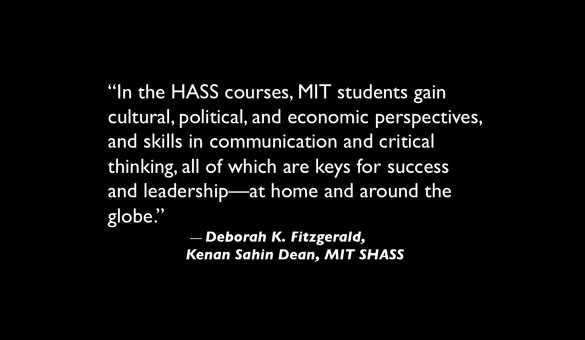 In their HASS courses, MIT students gain perspective, and skills in communication and critical thinking — all of which are foundations for success and leadership, at home and around the world. 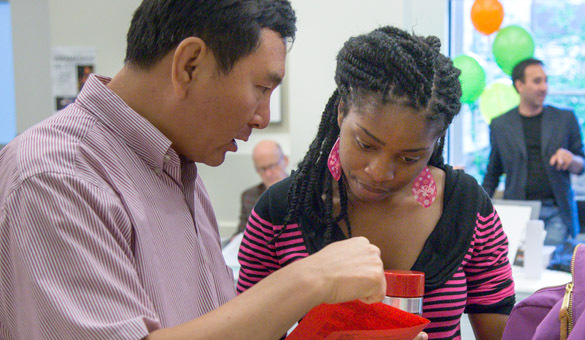 The SHASS faculty teach every MIT undergraduate, and our goal is to empower our students — to help them serve the world well, with innovations, and lives, that are rich in meaning and wisdom." 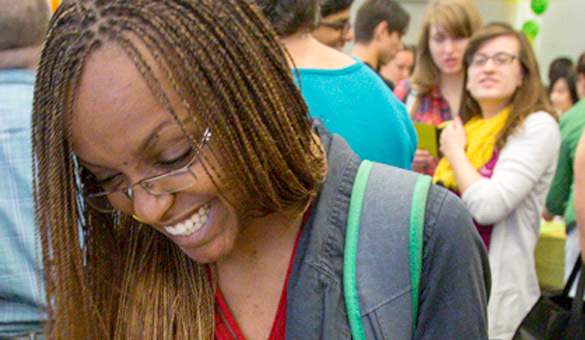 and for a lifetime of creativity and growth. 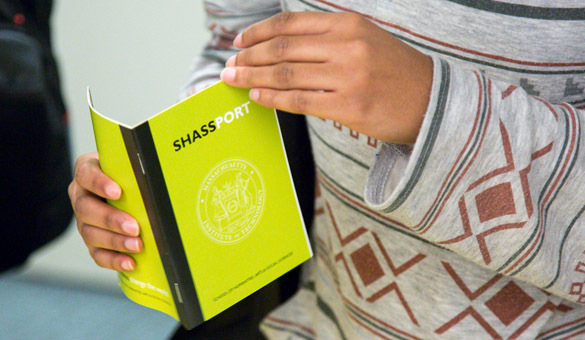 SHASS field offices during October to receive some branded gear.